Working on the second half of thesis, this is my favorite part! (I like animation but not as much as texturing and lighting). The best part of the process is trouble shooting! Oh boy, do I look forward to it. 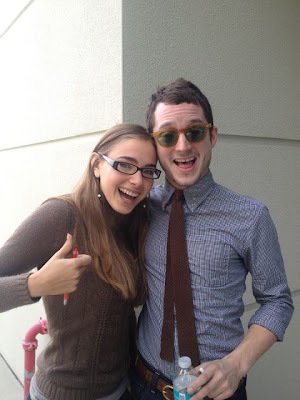 "Why is it doing that...."
In other news, I ran into Elijah Wood while he was visiting Ringling! My thesis Partner Dicle grabbed her camera and took this lovley photo, he was such a nice guy! I'll try to post some new work here real soon. 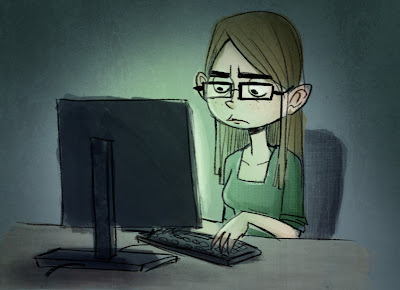 I've been busy with Thesis, but I've also been working at home on some visual development work, so stay tuned!